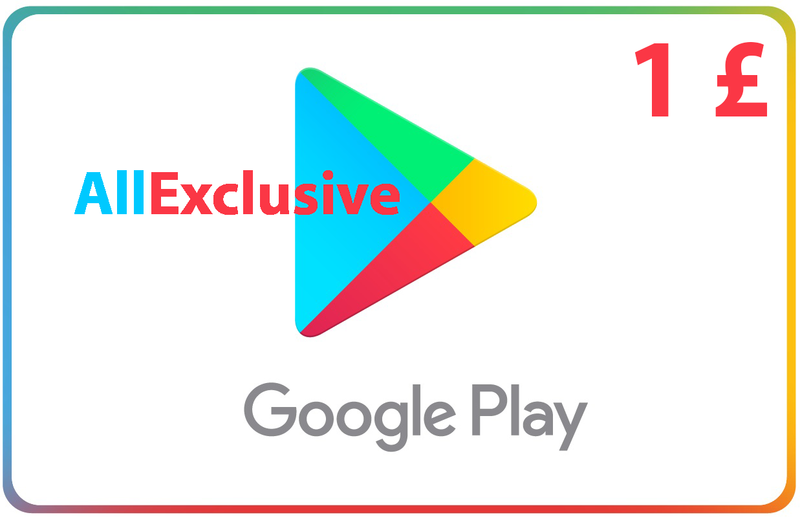 Google Play Gift Card (UK) face value of 1 £ (pounds) only for a British account. Not suitable for Russian / Ukrainian accounts! You can also change your billing address to UK on your personal account and activate a gift card. How to activate a gift card, gift code or promotional code. Open the Play Store / Google Play. Click on the menu icon Menu further Activate promotional code. On the page with the available payment methods, click on the down arrow Down arrow to further Activate the code.